We are a well established family firm who have been providing book finishing services for nearly thirty years. For much of this time Monarch was based in South London, but we moved North to Yorkshire in 2004 (see press release) and established an excellent high capacity facility in Dodworth, near Barnsley. 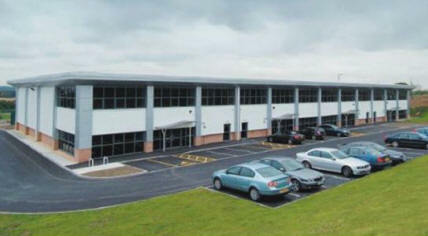 Two years after moving to Barnsley, a new larger high-spec building was acquired in Hoyland, about two miles from the Dodworth unit, and came fully on-stream 29th May 2006. This advanced unit provides higher capacity, more storage and streamlined production facilities. (see news article). 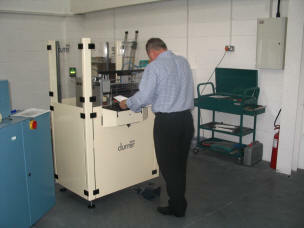 We have state of the art indexing machines for both standard and small book format and a skilled and flexible workforce. 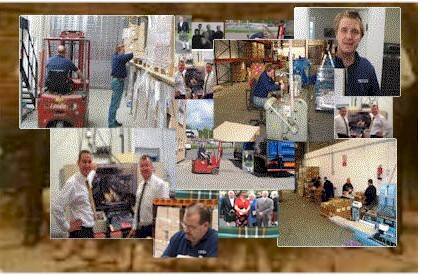 We can cope with any size job from millions of books to individual orders. 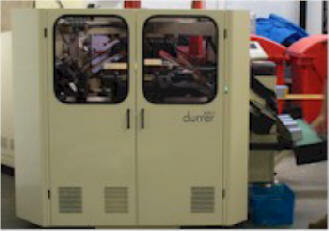 We work 24x7 and have fully-automated high-capacity indexing capability. Tab cutting for indexing (step indexing, thumb indexing) is a cutting process that forms tabs on the fore-edge of finished bound books. This allows the end user quick and easy access to various sections within the book or catalogue, improving its value to the reader. It is becoming increasingly popular within the business world for printed products, as it is user friendly and eliminates the problems encountered with die cutting as the cut register is always perfect. As book finishing specialists for more than two decades we at Monarch pride ourselves as flexible quality assured indexers with competitive rates and fast turnaround times. Based in South Yorkshire we use the most modem automatic indexing equipment, such as the Durrer Rega 4 (see above) manned by a team of highly skilled and experienced operatives in order to meet any and all of your indexing requirements. Our factory works 24/7 to ensure high output levels and very quick turnaround times. We pride ourselves on always delivering on time. We can provide high-quality tab printing using multiple colours and a variety of fonts, using another of our specialist Durrer machines. The printer gives excellent quality print, on a wide range of papers, can use multiple inks and a wide range of print types and sizes. 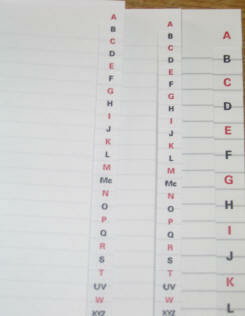 Please contact us to discuss your tab printing requirements. With a wealth of experience behind us we are happy to provide you with advice on the best way to produce an indexed product. We would be happy to visit you or alternatively you are welcome to visit us at our offices. 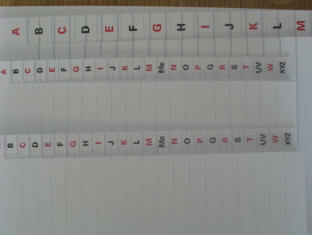 Should you require samples or proofs we would welcome the opportunity to assist. Contact us here. Some of the different types of tab cutting, such as step indexing and thumb indexing are explained here. 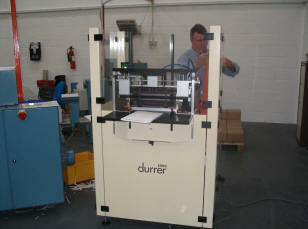 We also have high capacity trade packing capabilities and can rapidly and accurately shrink wrap and box large volumes.